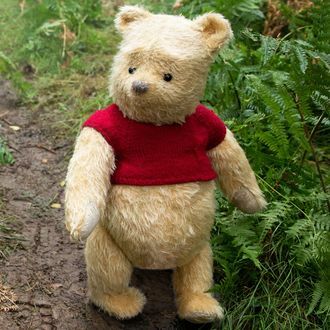 Winnie the Pooh, a nice bear who just wants to eat honey and help adults reconnect with their younger selves as time rolls inexorably forward, won’t get to spread his good word to China. According to The Hollywood Reporter, China has denied the release of Disney’s Christopher Robin in the country. Though no explicit reason was given by the Chinese authorities, some sources told THR that it was because the stuffed bear is often used in memes by critics of the government to mock Chinese leader Xi Jinping because they think he resembles the bear. Other sources told THR that blocking Christopher Robin’s release had nothing to do with Pooh memes and was just about limiting the number of foreign films in the Chinese market, as there are several other Hollywood movies already in theaters there. Regardless, Disney green-lit Christopher Robin well before the government started cracking down on images of Pooh, and just to be clear, the movie only really gets political about the importance of vacation time, not the Chinese government.